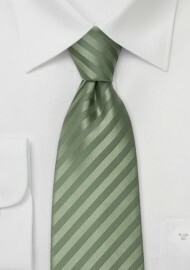 This slightly darker sage green silk tie is one of our most popular neckties for this years wedding season. 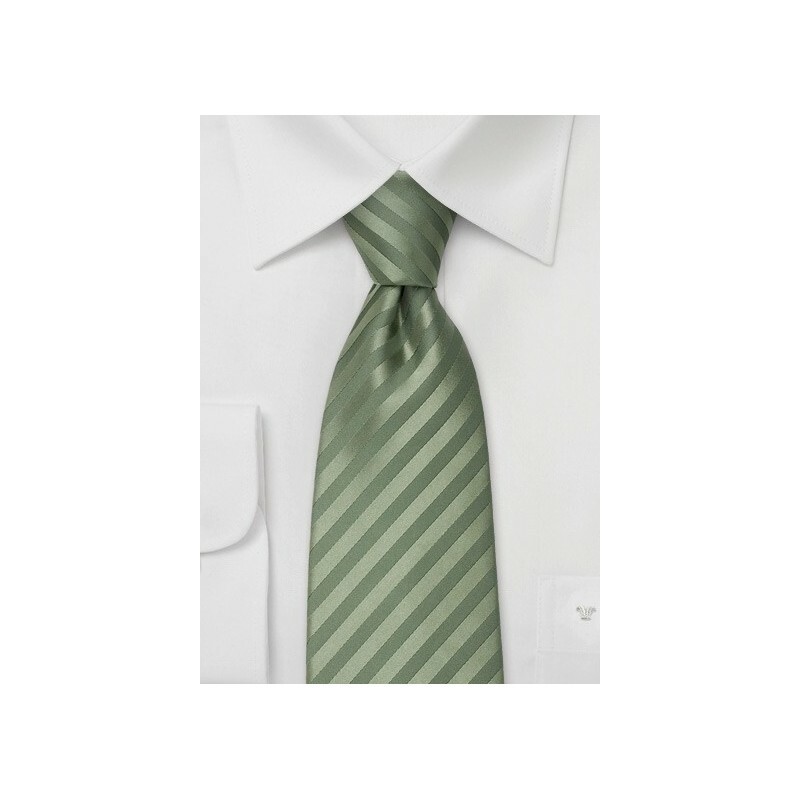 The subtle striped on this tie are created by alternating the weaving direction of a single color silk yarn. A stunning design that gives off a brilliant, formal shine. Please note that this tie is made in longer length for taller men, but we also carry this tie as a regular sized Green Silk Tie. Handmade from pure silk by Parsley Luxury Neckwear.